By reading this koob, you will learn about the history of investment strategy, the keys to investing, and how to make money over the long-term on the stock market. -The keys to making long-term investments that outperform the market. The stock market and trends change constantly, but there are certain truths to investing that will always stand the test of time. 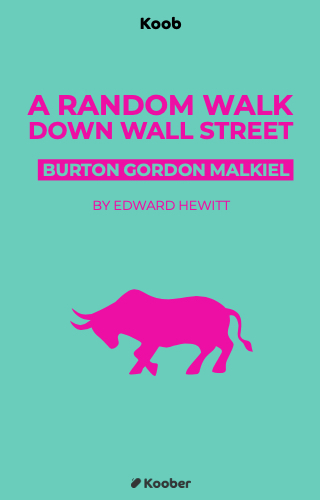 Burton Malkiel’s revised classic provides an unbiased strategy to help you successfully navigate the complicated world of the stock market without having to rely on a professional investment manager. Are you ready to learn and apply the principles and strategies that will lead you to outperform Wall Street experts?